An ongoing series from BOOM! Studios, with a story by Kurt Busiek, and scripts by me, with art from Scott Godlewski and Damien Coucerio. D:TCoM Volume 1, collecting issues 1-4, is now out in trade paperback. This is a great place to start reading the comic, Mom. Just ask A Walrus Darkly, who has a nice review of the volume. D:TCoM Volume 2, collecting issues 5-8, is out now, and you can find a review at Comics Bulletin. D:TCoM Volume 3, collecting issues 9-12, is also out, and wraps up this series. 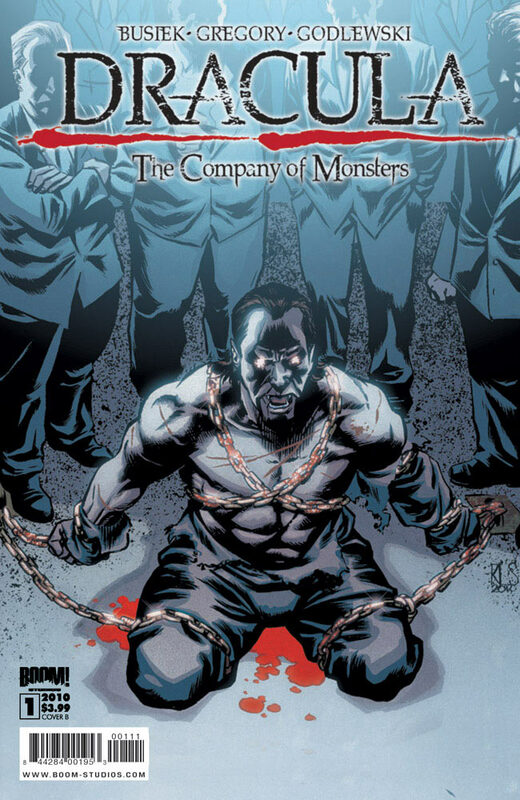 Check out the 12-page preview of Dracula: Company of Monsters #1 up at Comic Book Resources.